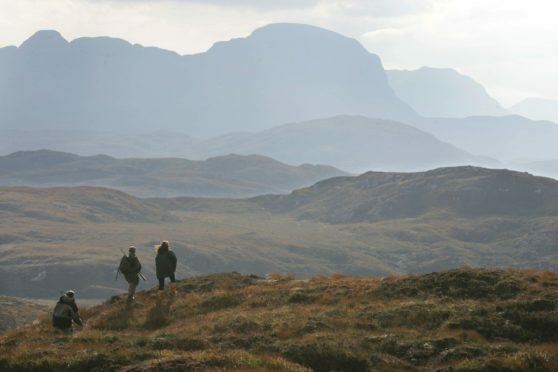 A community in Sutherland have successfully secured 3,000 acres of crofting estate after receiving a £273,025 grant from the Scottish Government. The Garbh Allt Community Initiative has bought the townships of Marrel, West Helmsdale, Gartymore and Portgower – formally owned by Sutherland Estates – as well as 20 sites of historical interest. The milestone achievement aftertwo long years for the community group, bringing a new approach to land ownership in the east of Sutherland. Anne Fraser, chair of The Garbh Allt Community Initiative, said: “We are absolutely delighted really and very excited about what that means for the future of the community. “I think that initially, when Sutherland Estates approached us to see if we would be interested in buying it, people were stunned and we considered how we could make the most of it. The area has long suffered from a lack of employment and depopulation, a trend that Garbh Allt is working to change to give more people opportunities within a thriving forward-looking community. Mrs Fraser said the community group was also eager to engage with residents across the district. She added: “We have been considering how we can develop apprentices to get people in the area into housing and employment and how to use that to the advantage of the community.